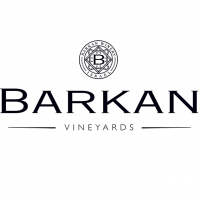 Nestled among the vines in Israel’s largest vineyard at Kibbutz Hulda, Barkan Winery continues a wine making tradition that began at the Friedman Winery in Petah Tikva at the end of the nineteenth century. The winery at Hulda crushed its first harvest in 2000, and is the most modern in Israel. The winery specializes in the production of premium wines in a wide range of styles and prices with an emphasis on red wines. The winery, and the wine-making team, is committed to achieving the maximum possible from every grape that it crushes – to create a harmonious whole not only pleasing to the public, but challenging and rewarding to wine connoisseurs. The winery views itself as combining the best of Old and New World styles. It has set for itself a goal of producing ever better wines that are not only among Israel’s best, but stand with pride against wines from the entire world.